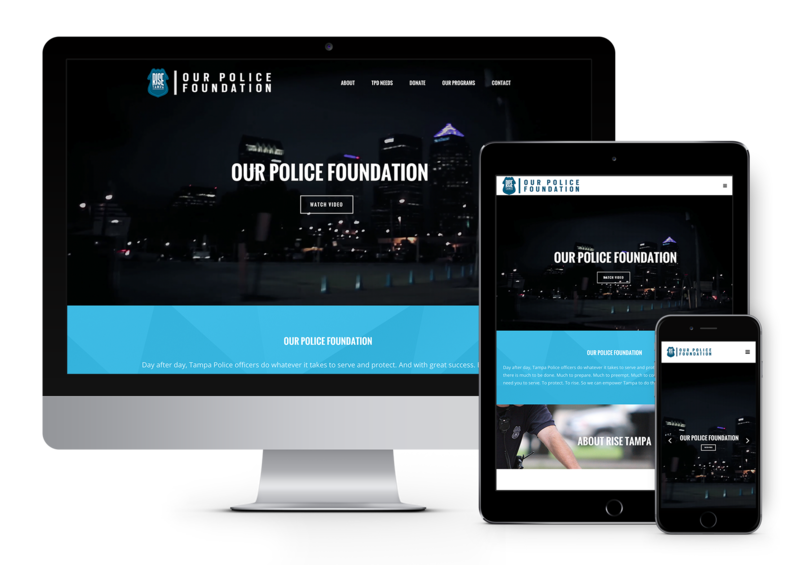 Rise Tampa is a foundation started by retired Chief Jane Castor to provide necessary materials for officers when they are not in the state allocated materials budget. The Rise Tampa team came to us looking for a flyer to be designed for Chief Jane Castor’s retirement party, a Rise Tampa website, as well as the remastering of a video that illustrated the needs of the Tampa Police Department. Helping our public heroes as a pro bono project was an immense honor for our team as we continually strive to give back to the community.